Please fill in the short form below with your question, either about the Kongsberg M3 Bathy, or for some technical advice. Please include details of your vessel if you feel they will help us answer your query. 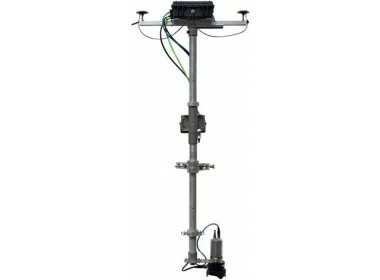 Th M3 Bathy System is a powerful survey system for shallow-water bathymetric applications. The core of the M3 Bathy is the M3 Series MultiMode Multibeam Sonar. The M3 Sonar is the only instrument in its price point that produces high-quality imaging records and 3D bathymetric datasets using the same sonar head. 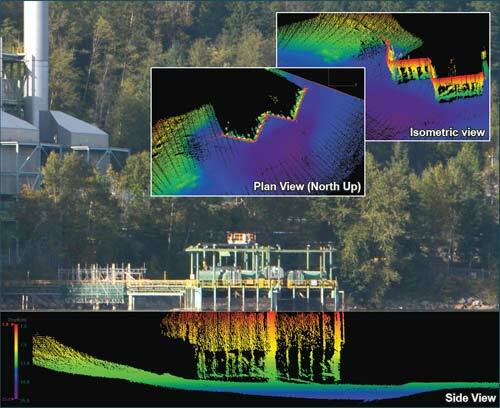 Bathymetric multibeams have different requirements than imaging sonars. Bathymetric multibeam sonar needs a wide opening angle across track, and narrow beam along track angle. Forward-looking imaging sonar needs a wide beam across track and wide beam along track. This is why it's impossible for conventional bathymetric sonar to function well as forward-look¬ing imaging sonar. The M3's innovative design solves this technical challenge by using 2 sets of complementary transducers in the same head. The M3 generates both imaging and profiling data in the same head. Point it forward for obstacle avoidance, point it sideways for structural inspection or vessel hull inspection. The M3 Sonar Bathy is a complete plug-and-play system that is supplied in a rugged, re-usable equipment case. The unit includes all requires sensors for deployment. Two people can set up the M3 Bathy in under one hour, using the quick start guide. All sensors are input to a laptop computer that is preconfigured with the user’s specifed survey acquisition and processing software and the M3 Software. The M3 Sonar® Bathy operates seamlessly with HYPACK and QINSy Software (included in the system price). Optional mosaicking software to create real-time mosaics of imaging data is also available.